Culinary Spain Tours S.L. 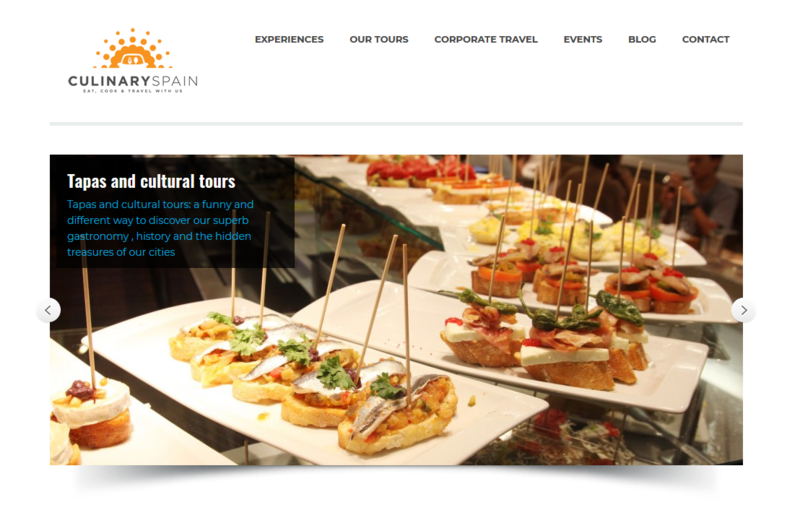 is a Spanish Travel and Event Company, specialized in Food & wine tours , Cooking and Gourmet activities throughout Spain. Culinary Spain has experience in creating and organizing innovative, exciting and unique Gourmet trips, Events and Corporate Activities. We are professional, imaginative and guarantee good value providing Companies and individuals with exclusive and customized solutions for its incentive travel needs and corporate activities. We offer a wide range of Culinary and Gourmet programmes, all special, authentic and with a highly personalized service to discover, taste and enjoy all Spanish cuisines, its wine regions and its hidden cultural treasures. We offer among others: cooking classes and contests, showcooking, tapas tours, tasting of oilve oils, wines, cheeses, iberian hams, chocolates, etc. , wine and gourmet Ghymkanas, Blind and sensorial dinners, and much more.